Besides having one of the bigger delegate totals up for grabs in the Super Tuesday primary, a win in the swing state of Virginia will come with a special cachet, political watchers say. The Old Dominion is undergoing a brief but intense courtship from multiple presidential hopefuls looking for a big primary win. Several candidates -- both Republican and Democrat -- have visited or are planning to visit Virginia, and political advertising is ramping up ahead of Tuesday's primary election. A state with a close Republican and Democratic divide, Virginia is expected to play a key role in deciding which party wins the presidency in November. Virginia is one of several states participating in Super Tuesday, the biggest single-day delegate haul of the nomination contests. "The ability to say, 'I went in and won one of the pivotal states of the general election' is certainly a trophy worth having," said Tucker Martin, a Virginia political consultant who previously worked with a super PAC backing New Jersey Gov. and former Republican presidential candidate Chris Christie. News4's David Culver samples voter sentiments in Haymarket, Virginia, just days ahead of the Super Tuesday primary. Many voters said they want the candidates to talk about issues rather than argue. 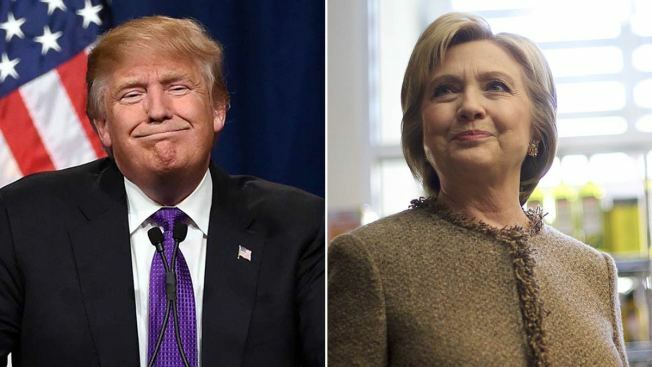 A recent poll shows Hillary Clinton and Donald Trump in the lead. Polls show Donald Trump leading in the GOP contest in Virginia, while Hillary Clinton is ahead in the Democratic race. Both plan to campaign in Virginia on Monday. It will be Trump's second stop here in as many weeks. Clinton has dispatched her surrogates -- including Gov. Terry McAuliffe and her husband, former President Bill Clinton -- around the state in recent days. Her Democratic rival, Bernie Sanders, spoke to thousands of supporters at a rally in Norfolk earlier this week. Republican candidate Marco Rubio appears to be giving Virginia the most last-minute attention. He's planned a four-stop blitz around the state on Sunday, and is touting his endorsements from state lawmakers, lobbyists and others. Del. Tim Hugo, chairman of Rubio's Virginia campaign, said the time Rubio is spending in Virginia shows that he has high expectations for Tuesday. "He wants to win Virginia," Hugo said. Rubio and a super PAC supporting him have recently purchased more than $400,000 of airtime in Virginia's four biggest TV markets, according to the nonprofit Virginia Public Access Project. Clinton's campaign has bought more than $360,000. Trump has made small TV ad buys around the state. A super PAC devoted to attacking Trump announced Friday that it is running radio ads attacking him in parts of central Virginia. Republican candidates Ted Cruz and Ben Carson are also planning Virginia visits ahead of the primary. Virginia's diverse electorate -- including rural tea party supporters, urban African-American voters, coal miners in Southwest Virginia and wealthy liberals in the Washington, D.C., suburbs -- make it a worthwhile destination for time-strapped candidates in both parties, said Stephen Farnsworth, a political science professor at the University of Mary Washington in Fredericksburg. Farnsworth said that kind of diversity also makes a Virginia win special. "Virginia is America in miniature," he said. "A win here means more than a win in a lot of other states."